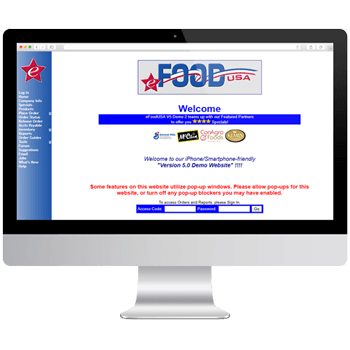 ﻿ Welcome to eFoodUSA | Evolving e-Commerce for the Foodservice Industry. 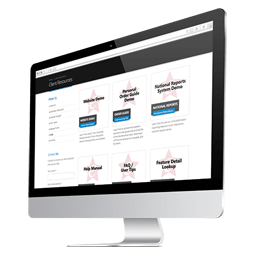 Developed for Foodservice Professionals by Foodservice Professionals. Let us show you how easy, affordable, and profitable eCommerce can be for your company. Knowledgeable and flexible to your needs, we understand the unique demands surrounding the foodservice supply chain. 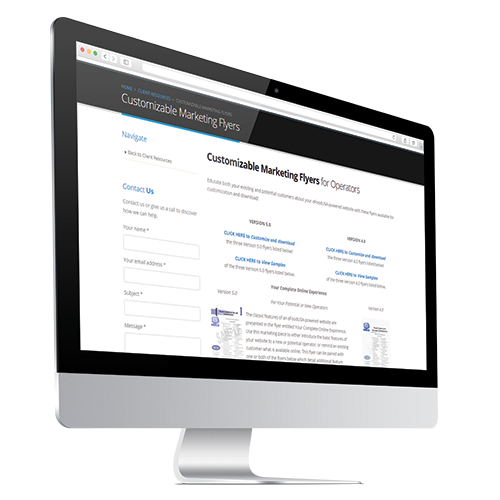 Multi-featured order entry includes custom order guide creation, corporate review and release functionality, order status and more. Virtually limitless reporting options are at your fingertips. Consolidated reporting for chain operators is also available. Multi-function inventory allows for par level ordering and multi-distributor inventory tracking. Highly knowledgeable USA-based tech support and 24/7 client resources can be accessed as needed. Are you capturing orders from those on-the-go? A mobile optimized website is included with your eFoodUSA-powered website! Our simplified layout is easily viewed on smaller screens. Programmed to detect mobile browsers, including those on iOS and Android. I've worked with our eFoodUSA site from an IT perspective for years but have really come to appreciate its capabilities after using the site in a Sales capacity during the past year. I’ve found the site’s features and flexibility incredibly effective in solving some rather tricky challenges we have faced with a large multi-unit account. Great product. eFoodUSA offers a number of flyers, brochures and demo videos to help highlight the benefits of your new eFoodUSA-powered website to your in-house users and operators. Customizable marketing flyers are available online… Just add your logo! In-house programmers, developers, and network engineers are available for responsive support, and clients have access to an off-hours 24/7 emergency hotline. In addition to our highly trained staff, eFoodUSA provides extensive support materials for system users. Demo videos, a system feature index, and a full help manual with screen shots are all available online. There are so many reasons to choose eFoodUSA! Or Check out the Demo Page. Copyright © 2000-2019, eFoodUSA, Inc. All rights reserved. Reproduction strictly prohibited.